I’m back today with another SUPER SIMPLE, make-ahead “salad” recipe that will use up a bunch of your garden veggies. 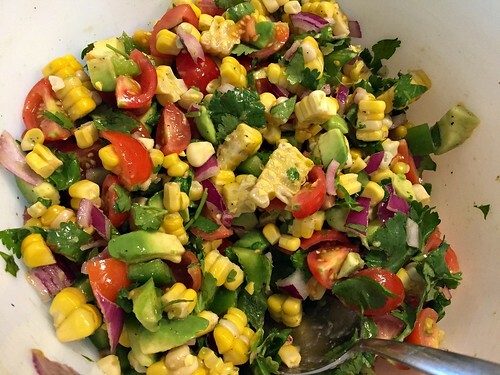 And I say “salad” in quotations, because this recipe could be a condiment, a dip, a topping, a side dish, a main dish, OR a salad — I just love love LOVE eating it as a salad. 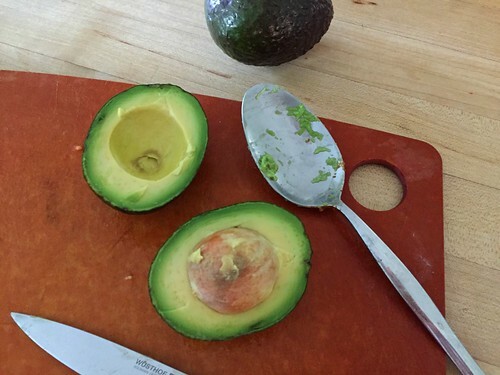 You can easily make it several hours in advance — even the day before and the avocados won’t turn brown. 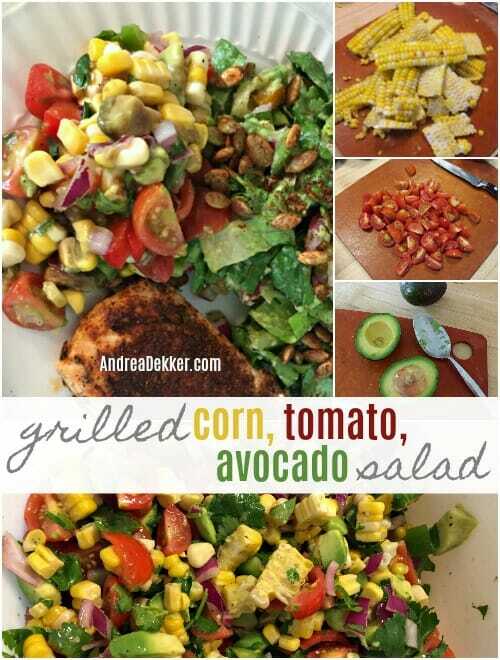 The flavors meld so well together, I honestly think it tastes better as leftovers! 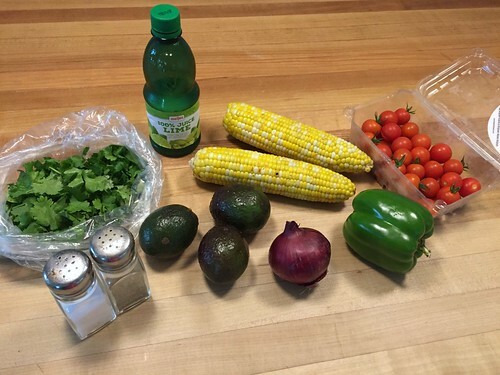 Also, as I mention below, if you don’t want to grill your corn, or even take the time to boil it and cut it off the cob, just use a can of corn from the store (drained). The flavor won’t be quite as fantastic… but I promise it won’t taste bad! 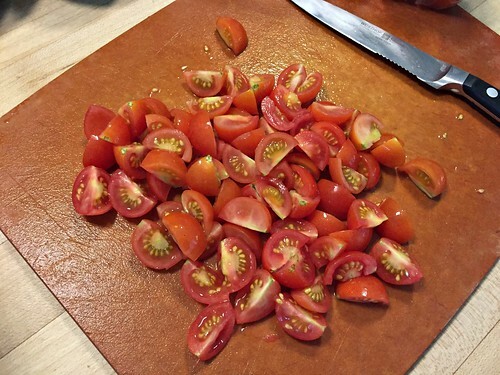 I think I’ve made this recipe once a week since mid-July when all our tomatoes started ripening. I’ve brought it to parties, church picnics, and backyard BBQ’s… and I always come home with an empty bowl. NOTES: this recipe does NOT need exact measurements — use whatever you have in the house and make it work! Also, I usually do use leftover grilled corn on the cob (which tastes AMAZING in this recipe), but I’ve made it successfully with boiled corn on the cob AND a 15 oz. can of corn (drained). I would not recommend using frozen corn for this recipe though. Finally, I would recommend Roma tomatoes, or another variety without as much juice. 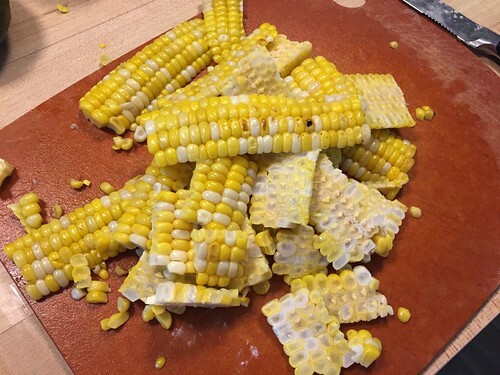 Cut grilled corn off the cob, place into large bowl. 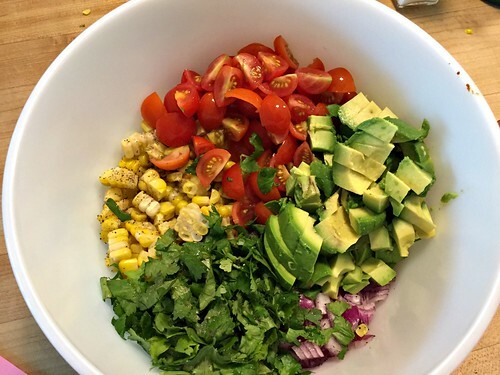 Halve, pit, and dice avocado, add to bowl. Wash and dice tomatoes, onions, pepper, and cilantro. Add to bowl. Toss “salad” with lime juice, salt, and pepper. Stir well. Taste and add more salt and/or pepper as you feel is necessary. 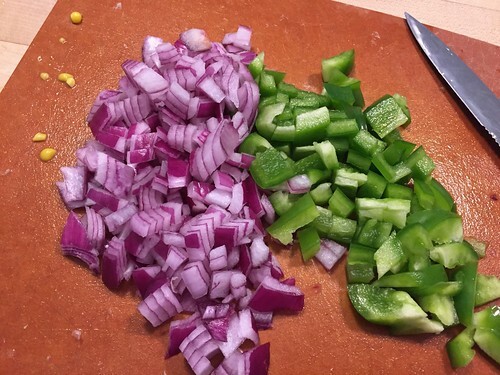 Cover tightly and refrigerate until ready to eat. We have enjoyed this salad with beef, chicken, salmon, tilapia, lettuce, spinach, chips, and even eggs! It’s just so tasty! How would you eat this dish? It was GOOD with frozen corn (thawed) but gross with canned corn! yeah, I wasn’t a fan with canned corn — so I figured frozen corn would be even worse. Glad to know it wasn’t horrible. Grilled fresh corn is definitely the best! What section of Meijer’s do you find the lime juice? I’ve looked at our store and can’t find it. Thanks! I’m positive there will be some in the produce department (right by the limes). There’s also more in the alcohol section, and probably some by the lemonade/juice section too. It’s all over our stores! Thanks Andrea! I’m having friends over on Saturday evening and I’m so doing this! I’m also serving cornbread with cheddar and thyme, homemade french fries, a yogurt dip, tzatziki and BBQ. My friend will bring orange pie for dessert. yum — your menu sounds fantastic (and I love that you have it completely planned out already!) Enjoy your party! That looks delicious! I would totally eat that on its own for lunch or with an over-easy egg on top for breakfast. 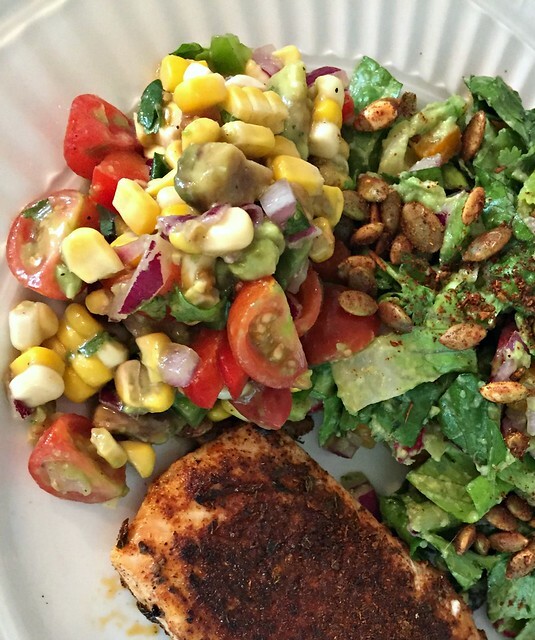 If you use canned corn you can char it in the cast iron skillet a bit to get that grilled flavor. I will definitely be trying this recipe soon! Thanks! oh yes, I’ve totally done the egg with breakfast too — delicious!! And thanks so much for your tip about charing the canned corn in a cast iron pan — I never thought of that but I’m sure it would work wonderfully! I actually have all the ingredients in the refrigerator right now. Plus, I’m thinking I’ll add crispy thick cut bacon. Everything’s better with bacon, right? Thanks, Andrea. bacon is always a good addition! Hope you like it! 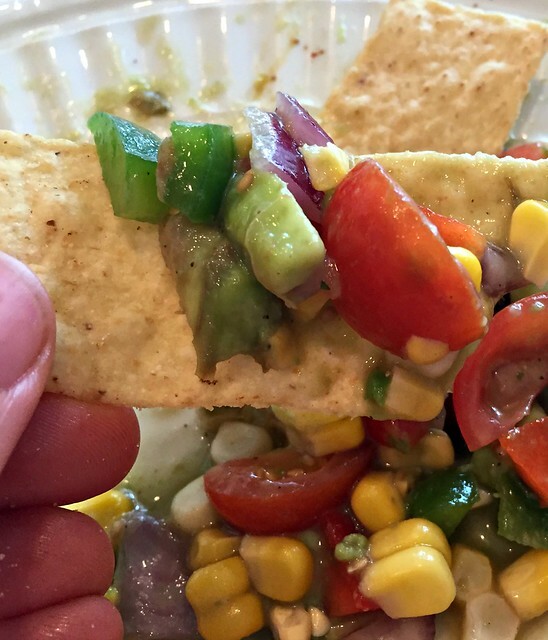 I make something very similar, my addition is black beans, and we eat it with scoop tortilla chips or as a side dish…..so very good.